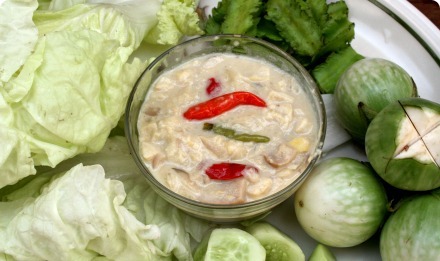 White Soybean & Coconut Milk Dip or ‘dtao jiao lon’ is a tasty dip for raw vegetables. 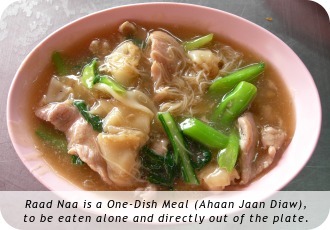 It’s usually eaten with cucumber, chinese cabbage and long beans. It’s got a nice, slightly fermented flavor, somewhat like miso. Rinse and strain the white soybeans and add to a stone mortar and pestle. Smash until a uniform paste. Add 1/3 cup sliced and de-skinned shallots, and smash until paste. Bring the coconut milk to a low boil over medium high heat, and add the paste and salt. Simmer on medium to medium low for 15 minutes or so, until the liquid is reduced by 1/2. Keep stirring every few minutes. Add chilies, the rest of the shallots, and the pork. Simmer for another 15 minutes or so. Keep stirring as before. Add the palm sugar, mix and remove from heat. Serve with raw veggies to dip. 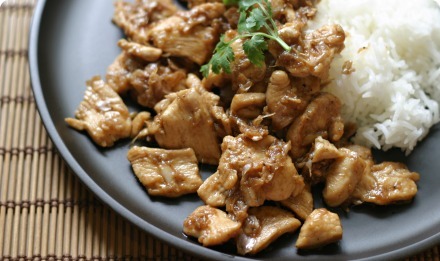 Vegetarians: Substituting the pork with a mixture of mushrooms and or tofu makes an excellent veggie dish. Fermented white soybeans are usually sold in a bottle in the dry goods section of an Asian market. Once opened, store the bottle in the fridge. If using canned coconut milk, thin it down first with water. Use 1 cup coconut milk + 1 cup water. Some people add a bit of tamarind paste to their recipe. P-Mala (who taught me how to make this) doesn't. It's up to your taste. Feel free to try adding a bit to see if you like it. Add the shallots and smash more. Boil the paste in the coconut milk. Delightful! I just made this today, a vegetarian version using oyster mushrooms.